Who advises our policy makers in Washington? What brings these advisors to the federal bureaucracy and keeps them there? And how do their clients and the bureaucratic context influence the choices they make in selecting, defining, and working on problems of public policy? In the late 1960s, professional policy advisors—called policy analysts—began to emerge in the Washington bureaucracy. Their job: to provide information and advice about the consequences of choosing different policies. 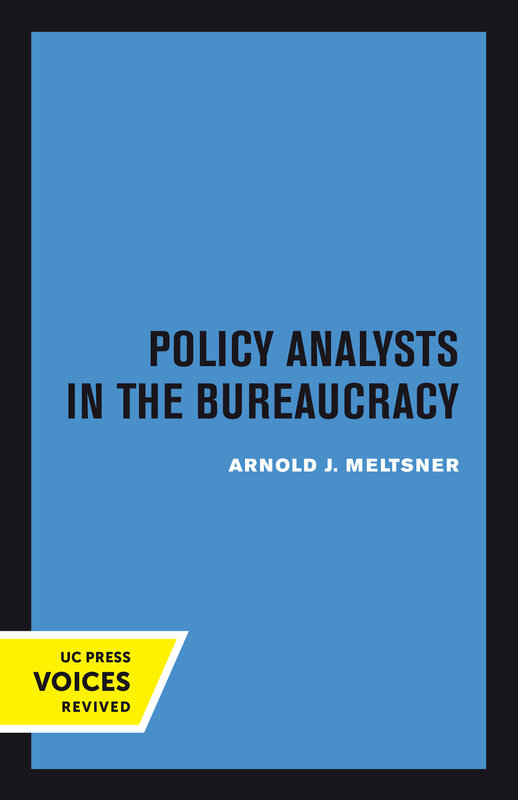 Arnold J. Meltsner examines the various roles they asumed and the ways in which their priorities and methods were affected by the people they advised and the bureaucratic environment. Drawing on interviews with analysts and using his own experience as a government consultant, Meltsner shows how political and organizational considerations extended the boundaries of the advisor's role in a way that went far beyond the analyst's own notions of what policy analysis was. As the profession began to take shape, there were few standards of external organizations to set expectations for the analyst's work. As advisors on the inside, many policy analysts became adept at writing speeches and memos and making political calculations. In short, they took on the folkways of the bureaucrat. This detailed and vivid account of the experiences of analysts in a government agency is written not only for students of the subject but for all those interested in the general processes of our government. By providing a picture of the roles and behavior of the policy analyst, Meltsner points out the predicaments facing those who try to improve the effectiveness of analytical expertise within the government. Arnold J. Meltsner was one of the founding faculty members of the Goldman School of Public Policy at the University of California, Berkeley. He was the editor of the Journal of Policy Analysis and author of The Politics of City Revenues, The Policy Organization, and Rules for Rulers: The Politics of Advice.